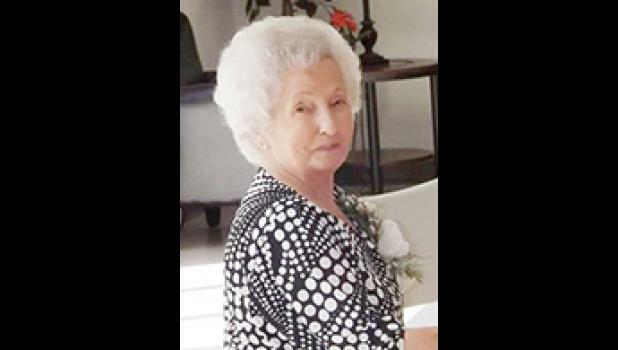 Edith Waters Mahaffey Dean, 95, of Lyman, widow of Clarence K. Dean, passed away on March 23, 2019. Her first husband was the late Thomas James “Cowboy” Mahaffey, Sr.
A native of Greenville County, daughter of the late Ernest Clyde and Maebelle Brockman Waters, she was a retired employee of Carolina Fashions and a member of Pleasant Grove Baptist Church. Surviving are five grandchildren, Tracy Mahaffey Quinn (Robbie), Shane Blackwell (Leah), Joni Mahaffey, Jay Mahaffey (Amanda) and George Mahaffey; six great-grandchildren, Dylan Barton (Samantha), Andrew Mahaffey, Jacob Mahaffey, Chris Bruce (Amanda), Keith Quinn (Pamela) and Matthew Smith; two great-great-grandchildren, Kayden Barton and Clayton Bruce; and a step-daughter Shirley Rambo of Inman. Mrs. Dean was predeceased by two sons, George Michael “Mike” Mahaffey and Thomas “Tommy” James Mahaffey, Jr.; two daughters, Mary Sue Blackwell and Shirley Waldrop; six brothers, James Waters, Jerry Waters, Herman Waters, Cecil Waters, T.O. Waters and Frank Waters; four sisters, Rachel Waters, Grace Waters, Blanche W. Gosnell and Eunice W. Odom; and one grandson, Todd Blackwell. Graveside services will be held 11 a.m. Wednesday, March 27, 2019 at Hillcrest Memory Gardens conducted by Rev. Bradley Cox. Visitation will be held 6-8 p.m. Tuesday, March 26, 2019 at The Wood Mortuary. Online condolences may be made to www.thewoodmortuary.com.